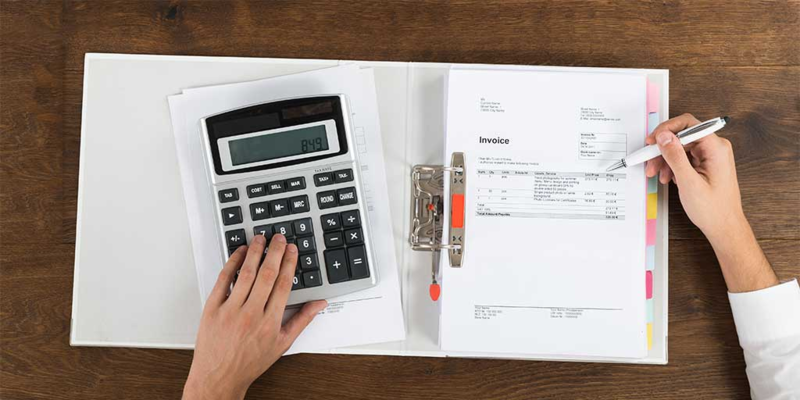 There are two words that make any business owner nervous: tax compliance. While non-compliance can result in getting penalized or ending up behind bars, there are more reasons to be tax compliant than just avoiding punishment. Based on how prompt you are in filing your returns and paying your taxes, you’ll be awarded a GST compliance rating by the government. It isn’t just about paying taxes, though. Under GST, the government allows businesses to claim Input Tax Credit (ITC) for the tax they have paid while buying capital goods for their company. Thus, at every stage of the supply chain, buyers acquire tax credit and can use it to offset the GST they owe the government. Having a good rating can indirectly boost your sales as well. How? Try looking at this from the perspective of buyers. Buyers will purchase goods only from suppliers who have good GST compliance ratings, because the GST law requires both parties to match the particulars of their transactions to claim Input Tax Credit. If a supplier fails to file GSTR-1 (the return for declaring outward taxable supplies), then the buyer will not be able to claim credit. All this talk of filing returns, furnishing proper information in your invoices, and staying compliant might sound a bit daunting. Don’t worry, we’ve got you covered. Here’s the information you need to keep in mind to make sure that every sale you make stays GST compliant. Tax rates are probably the most obvious thing you need to keep in mind every time you make a sale. The tax rates for goods have been set at 5%, 12%, 18% and 28% respectively, based on the type of goods being sold. When it comes to services, the tax slabs are set at 12% and 18%, again applied based on the type of service being provided. How these tax rates are split up during a sale, however, is a little different. If you’re selling within the same state, your tax rate is split into State Goods and Service Tax (SGST) and Central Goods and Service Tax (CGST). As their names imply, SGST and CGST are collected by the state and central governments respectively. If you’re selling to a buyer in another state, a combined tax called as the Integrated Goods and Service Tax (IGST) will be levied by the central government. The tax amount collected as IGST will later be distributed to the state governments, and the Input Tax Credit will be calculated based on which kind of tax you’re paying. If you’re paying IGST, the input credit is calculated based on the CGST and SGST paid during your purchase. If you’re claiming credits for CGST, the credit will be calculated from the IGST and CGST paid during the purchase. The same principle applies for SGST, where the credits are calculated based on the IGST and SGST paid during the purchase. Use Zoho Books to manage your business finances and file your GST returns easily. Goods and Services Taxpayer Identification Number (GSTIN): This is a unique identification number provided by the government to every business registered under GST. When you file GST returns, the GSTIN number you specify will be used for verifying your claims. The details you disclose will be matched with those provided by your vendor. Tax Details: The invoices that you raise must contain clear information about the product sold, its price, the tax levied on it, and the total sale amount. You must also show how the tax is split (for instance: CGST + SGST). Harmonized System of Nomenclature (HSN) code: This is a multipurpose international product nomenclature developed by the World Customs Organization (WCO). The main aim of this code is to standardize the customs procedure across all countries around the world. The GST law mandates that every invoice you raise should contain the HSN code for the products being sold. Your work doesn’t end with raising prompt invoices — there’s much more to do. The GST laws mandate that you need to file a GSTR-1 with the government every month to verify all the sales that you make. Before the 10th of each month, you’ll have to collect the details of all your invoices (including the total revenue made and products sold) and compile them in a report. You’ll have to make sure that the report contains accurate information, because if the government finds anything wrong upon verification, it will be considered as an offence, and you’ll be penalised. The amount you may be charged as penalty ranges from Rs.10,000 to Rs.25,000 based on the severity of the offence. That’s a lot of stuff to remember. There’s a very high chance of forgetting to file your returns on time or missing some critical information on your invoices, and then you can end up getting penalised for it. So it’s always better to automate this sort of things, instead of doing it all on your own. Apps like Zoho Books have been tightly integrated with the GST system, so you just need to do an initial setup and you’re good to go. Everything from applying tax calculations on your invoices to generating reports for monthly returns is handled automatically. Even better, you can file your returns right from the app. It’s simple, accurate, and takes the hard work out of compliance. Learn more about how Zoho Books makes life under GST better. Get your business ready for GST with Zoho Books.